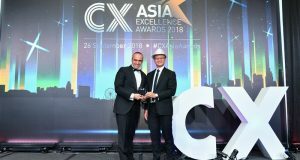 edotco’s Chief Sales & Marketing Officer (CSMO), Wan Zainal Adileen Wan Puteh has been named one of the 100 Most Influential Global Marketing Leaders at the World Marketing Congress in Mumbai (india) recently. 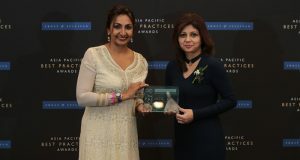 Wan Zainal Adileen Wan Puteh, Chief Sales & Marketing Officer of edotco Group receiving the ‘100 Most Influential Global Marketing Leaders’ award at the World Marketing Congress, in Mumbai. 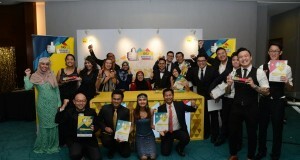 With the recognition, edotco said that Wan Zainal now joins an elite class of marketing leaders from leading organisations. 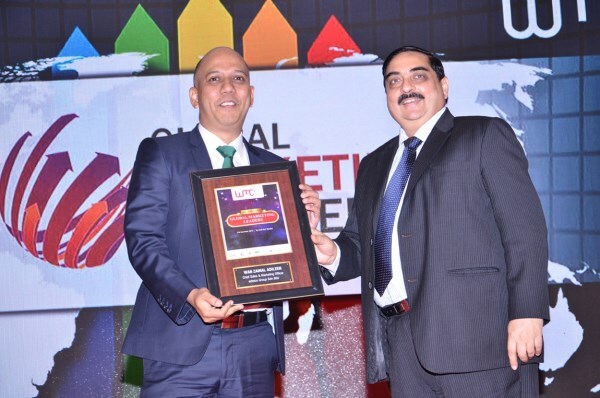 The World Marketing Congress 2015 which was held in Mumbai, was attended by over 1000 marketers from around Asia Pacific. The event celebrates the region’s best marketing leaders and their accomplishments from the past year. Themed “If not now, then when?”, the congress was chaired by Nand Kishore Badami, Chief Marketing Officer of CISCO India. The 100 Most Influential Global Marketing Leaders were identified based on a combination of marketing competencies, strategic perspective, track record, integrity, ethics, and their commitment to sustainability. edotco Group, a wholly owned subsidiary of Axiata said recently that it aims to grow its market share in Malaysia to 20% next year. edotco’s current market share of the telecommunication infrastructure in Malaysia is about 16%-17% (edotco has about 3,600 towers in Malaysia. There is an estimated total 22,000 towers in Malaysia). Regionally, edotco has a portfolio of over 15,000 towers in Malaysia, Sri Lanka, Bangladesh, Cambodia and Pakistan. It is currently in the midst of acquiring Myanmar Tower Company (MTC); upon completion of the deal, edotco will have approximately 16,200 towers across the region covering six countries.